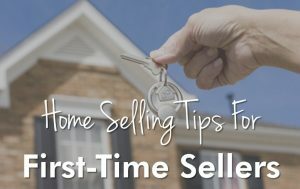 So you’ve finally decided that it is time to sell your home—your first home. The house that has had so many memories will soon be on the market, but will you be ready for the process? 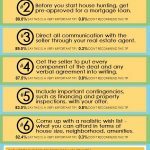 Selling a home can be a whole different animal than buying a home, and some first-time sellers get caught off guard. Well, that ends today. Check out our latest blog for a comprehensive guide for the first time seller! Out of all the things that first time sellers say that make the process difficult, sentimental value is one of them. 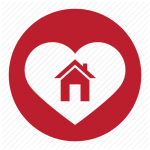 Like your first car or ever your first love, your first home has a special place in your heart, one that will be difficult to let go. However, like your first car and even your first love, you have still found a way to let them go and to move on to bigger and better things. The same goes for your home—no matter what you are feeling now, we promise that it will be worth it. If you focus on detaching yourself from the home early on, it will make for a much smoother ride all throughout. Next, you are going to have to set up your home to be in a saleable condition. This means that all of the excessive decorations and family mementos need to come down. 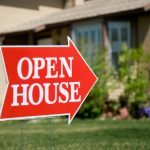 At first glance, this may seem to be an odd request, but buyers really want to picture themselves in the house, and they cannot properly do it with all of your very personal belongings around. Try to keep decorations to a cordial minimum, and keep a very neutral tone throughout the home. This may even help with the former tip of detaching yourself from your home. Alongside of that, you are going to want to make sure that all of the necessary repairs are done. While this doesn’t mean to go ahead and finish your basement, it does mean that all systems are functioning properly, like your heating and plumbing. Do your diligence to fix it, or else it may come up at the negotiating table. The less things that show up in the home inspection, the less power the buyers have at the negotiating table. 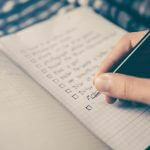 Finally, the most important thing for a new home seller is to confide in a trusted and experienced real estate agent. These people will be your lifeline for the entire process, and will be the ones responsible for arranging the sale of your home. 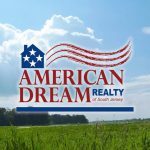 Luckily enough, the agents at American Dream Realty of South Jersey have been in the business for years, and have acquired a reputation as some of the best agents in South Jersey, perfect for selling your first home. Come on in today to see what we can do for you!